The Scottish Premiership title race has been extremely one-sided in recent years and that looks set to continue in 2016 as Celtic seek a fifth straight success. After 16 matches, Ronny Deila's men are four points clear of second-place Aberdeen and also have a game-in-hand on their closest rivals for the crown. 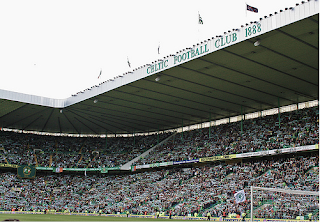 Prior to the beginning of the season, Celtic were already red hot favourites to defend the title and already look well on the way to lifting the trophy at the end of the campaign. Unfortunately for the other clubs - and neutral Scottish football supporters - there just isn't enough competition to challenge Celtic's dominance. In the past four years, Celtic have won the league by 20, 16, 29 and 17 point margins. The Bhoys have rarely been tested and, although the likes of Aberdeen and Inverness have tried their best, Celtic look as though they could dominate Scotland's top flight for the next five years. After a tricky period, Rangers are likely to secure promotion back to the Scottish Premiership this season, which could help to increase competition in the top flight again. However, Celtic have a much greater presence in the transfer market and, unlike their rivals, are able to attract talented players from all over the world. On their day, Aberdeen have shown that they are more than a match for Celtic, as seen above. The Dons actually earned a 2-1 victory over Deila's men earlier this season but simply cannot play at the top level for a prolonged period. Celtic are more consistent, have a stronger and deeper squad and possess more talented players than the remainder of the Scottish Premiership. For that reason, they look an absolute shoo-in to win a fifth successive crown and are priced at 1/100 in the Scottish football betting markets to achieve this. On current form, Celtic will take some stopping as Deila's men have lost just once all season. As previously mentioned, Celtic's squad should be too strong for the remainder of the top flight. In fact, if you merged the rest of the Scottish Premiership together, it would still be difficult to form a starting line-up that is stronger and more talented than Celtic's core group of stars. While some believe that the division is becoming tedious, it really is up to the other clubs to take the battle to Celtic. Unfortunately, many dismiss their chances at the beginning of the campaign and almost settle for second place at the best. It would certainly take a brave man to back against Celtic this season, especially now they no longer have European commitments to worry about. Although you cannot fault Aberdeen's efforts, it will take a minor miracle for Celtic to slip up in the title race. Deila's men are the class side in the Scottish Premiership and will fancy their chances of emulating last season's impressive title victory. Given time, the rest of the top flight may challenge Celtic's grip on the title but, for the time being, it's Celtic's trophy to lose.